Kanger seems to be addressing some of the only complaints with the Protank with the introduction of the Protank 2. A modular design takes care of glue failure that some users have reported while a changeable mouthpiece allows the use of the 510 drip tip of choice. The same exceptional performance with a slightly tighter draw is an added bonus. 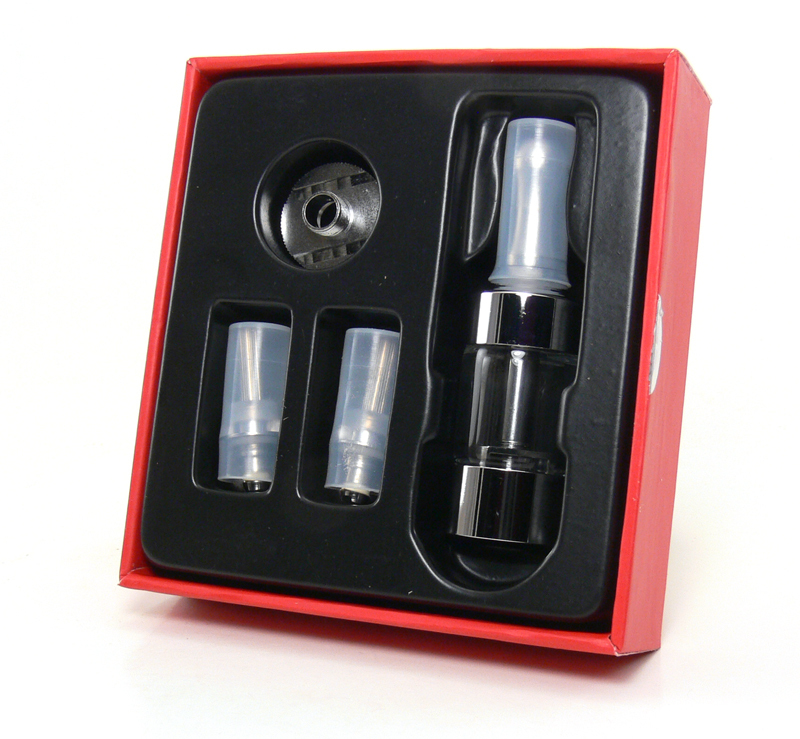 The kit includes the Protank 2, two coil heads and a trim ring for use with eGo style devices. Our kit came packaged in an attractive sliding box. The defining feature of the original Protank is its bottom coil wrapped in a glass tank. The tank is still glass and the bottom coil stays exactly the same on the Protank 2, but the design is completely different. Rather than having the metal top and bottom permanently affixed, the two ends of the Protank 2 connect via the center post to clamp the glass tube securely in place. It’s a very similar configuration to the Davide we sampled last month, but the threaded part of the tube is at the bottom on the Protank 2 versus the top of the Davide. This type of design serves two functions. First and foremost is that it must be an answer to issues some users have experienced with the glue failing on the original Protank tank assembly, resulting in the bottom cap leaking and coming off. The new design eliminates the glue and at the same time makes the unit easier to disassemble and clean. The removable bottom portion of the tank has a raised bar across the center that serves as the connection point for the center post. The design makes it as easy to fill as the original, and slightly easier than the Davide. Also similar to the Davide is the addition of a removable mouthpiece rather than the integrated one of the original Protank. 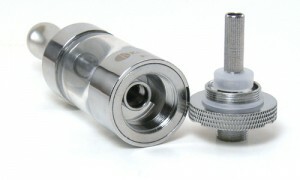 Many users have favorite 510 drip tips that they like to use and now will be able to with the Protank. I, for one, am not real fond of metal tips, and although I have gotten somewhat used to them, it’s nice to be able to use the plastic ones that I prefer. The included metal mouthpiece on the Protank 2 is a little wider (by only a couple tenths of a mm) than the original, but actually has a slightly smaller diameter hole, possibly contributing to the stiffer draw that we’ll get to in a minute. The base of the Protank 2 is exactly the same as the original and uses the same coil assembly. Kanger has done well to not mess with a good thing in this regard. Once everything is assembled it has the same solid feel as the original as well. With one exception, there’s not much new to report when it comes to the vape. The Protank 2 delivers the same excellent flavor and vapor as its predecessor. As with other bottom coil designs, the vape is slightly cooler than that of a top coil, but wicking is considerably better and more consistent. The second generation of the Protank does seem to have a slightly tighter draw, which should address another of the few complaints that users have with the original. One of the things that I’ve grown to really like about bottom coils is that they don’t punish you for leaving them get a little dry and the newest Protank is no exception. When the juice runs low, the vapor and flavor simply taper off. As with other BCCs, however, I did need to remove a little of the wick to get the perfect juice flow. Popping the top off the coil assembly and removing one piece of wick laying on top of the coil got things working perfectly. When removing the unit for filling, it is worth noting that it should be grasped by the knurled edges on the bottom to avoid opening the tank before it’s removed from the battery. The modular design makes this even more important, as it could be possible to open the seal on the tank itself if it were unscrewed by holding the top portion. As mentioned earlier, it is very easy to fill with a dripper bottle by just tilting it a little sideways. The Protank 2 is exactly what we like to see in a second generation of a product. It retains the good looks, solid feel and great performance, while making some significant improvements in design. Viper Vape is offering the unit at $17.99, which is slightly more expensive than the original, but still a very good deal considering the low cost of replacement coils. Note: The Protank 2 reviewed above was provided by Viper vape for that purpose. 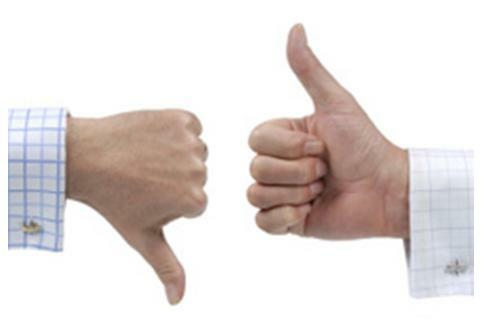 We are thankful for the opportunity to review new products, but as usual try very hard not to let that get in the way of an honest review.